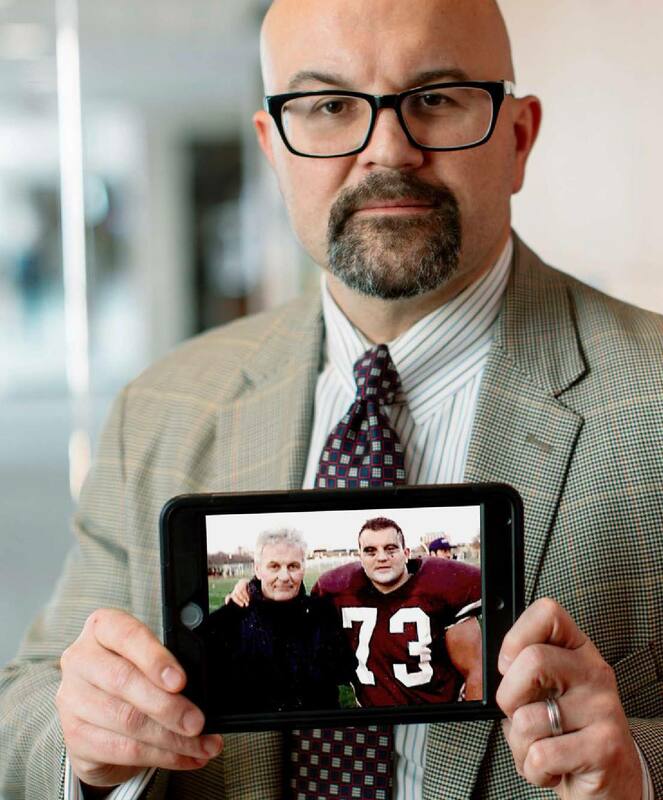 Mark Truty, M.D., during his first year of college, with his father, Kazimierz, shortly before he was diagnosed with pancreatic cancer. Mark Truty, M.D., has dedicated his career to giving patients with pancreatic cancer more quality time with their loved ones. Much more time. The mission is personal for him. His own father, Kazimierz Truty, a Polish immigrant and mechanic at a meatpacking plant near Chicago, died 20 years ago from pancreatic cancer at age 58. “My dad had typical symptoms of back pain, weight loss and diarrhea,” says Dr. Truty, a surgeon in Mayo Clinic's Division of Hepatobiliary & Pancreatic Surgery. “His symptoms continued, and he developed jaundice and was admitted to a community hospital. A general surgeon who wasn’t experienced with pancreatic cancer operated on the tumor, which was wrapped around blood vessels, and cut through the tumor in trying to remove it. My dad was in the hospital for 89 days, had two more emergency operations and eventually went home, too ill for chemotherapy. He died in my arms after weeks of suffering. “I was 19 years old, so it was a while ago, but scenarios exactly like this still happen across the country every day,” he says. “When I got into medicine, I knew we had to advance the science and treatment for this disease. Pancreatic cancer treatment hadn’t evolved in three decades. Doctors did the same thing — performed inadequate operations on those whom surgery was unlikely to benefit and avoided surgery in many patients who would potentially benefit from an operation — and expected different results. This approach has been a miserable failure. I applied the surgical skills I learned from my mentors at Mayo Clinic during my training and collaborated with colleagues in other disciplines to break away from that traditional dogma. How are Dr. Truty and his Mayo Clinic surgical colleagues so confident in their ability to help patients see another holiday? They’ve upended traditional treatment for pancreatic cancer by introducing a sequenced treatment strategy that’s being mimicked at other leading medical centers around the world. The multidisciplinary approach includes boosting patients’ health to endure treatment, providing neoadjuvant chemotherapy and radiation, and performing aggressive operations. The numbers don’t lie. Patients with stage III pancreatic cancer (traditionally inoperable) have had eye-popping improvement in their outcomes. And they show no signs of cancer recurrence in follow up. The three-decades-old practice Dr. Truty describes involved a standard approach to surgery — operating on only very localized tumors that account for 15 percent of patients, followed by chemotherapy (proven to improve survival) if the patient could tolerate it. There was a glitch, however: many patients didn’t receive the recommended chemotherapy due to challenges recovering from surgery or a belief that they didn’t need it. Despite significant technical improvements in the operation and advances in perioperative patient care, long-term outcomes and average length of survival didn’t budge, averaging only 20 to 24 months. One reason for that may be that tumors thought to be localized had actually spread, reinforcing the concept that although surgery is necessary for long-term survival, it is not sufficient and alone is of minimal benefit. Dr. Truty says all patients with pancreatic cancer need chemotherapy to treat micrometastases. Dr. Truty describes what’s still needed to more effectively identify and treat pancreatic cancer. Researchers at Mayo Clinic are working on a more effective, noninvasive screening tool, but it is probably five to 10 years away, he says. Type 2 diabetes is now considered a risk factor for pancreatic cancer, along with smoking and family history of the disease. Scientists aren’t sure if pancreatic cancer causes diabetes or if diabetes increases the risk of pancreatic cancer. But most people diagnosed with pancreatic cancer have had a new diagnosis of diabetes within two years or had longstanding diabetes that worsened. that works in a mouse, it’s predictive of it working in the patient. We look for a biomarker that predicts the drug’s response so we can use the same drug in other patients with that biomarker in a clinical trial. The lab also is transplanting tissue into mice from patients who have had chemotherapy, radiation and surgery to determine if the cancer is completely killed or likely to return. If the cancer cells grow in the mice, it gives Dr. Truty a heads-up to intervene with the patient while the tumor is still small. Not content with the status quo, Dr. Truty and his colleagues explored ways to further improve outcomes. In examining national data of pancreatic cancer patients, they found that surgical patients with elevated levels of the tumor marker CA 19-9 fared significantly worse than those without CA 19-9 elevations, even if their surgery was followed by chemotherapy. The only treatment sequence that provided good long-term outcomes was chemotherapy before surgery. (Read related story). As a result of that finding, all Mayo Clinic pancreatic cancer patients now have a CA 19-9 blood test at diagnosis to guide treatment. CA 19-9 elevation indicates patients may have metastatic disease, and such patients may benefit from chemotherapy before surgery even if their tumor is otherwise surgically resectable. Pancreatic cancer can spread without it being detectable on scans — the aforementioned micrometastasis — according to Dr. Truty. Armed with this revelation, pancreatic cancer specialists at Mayo Clinic have flipped the script and introduced neoadjuvant chemotherapy for many patients to improve survival and ensure that an operation will be of significant benefit. There is, however, a larger fraction (35 percent) of patients whose tumors were traditionally considered too high risk for surgery due to growth outside of the pancreas and involvement of critical veins and arteries. Today more than 50 percent of these patients are having operations preceded by chemotherapy, using more effective drug combinations. Neoadjuvant radiation also has been added to the mix. Dr. Truty and other surgeons in his division were instrumental in turning those formerly “unresectable” cases into successful curative cancer surgeries. Dr. Truty says having these three tools — chemotherapy, radiation and surgery — in the toolbox isn’t the key. Rather, how they’re used and in what sequence is key. “I compare it to making my wife’s chocolate chip cookies,” he says. “I used the same ingredients, but my cookies didn’t turn out as well. Why? She knows how use all the ingredients in the right amounts and in the right order to get the optimal final product. 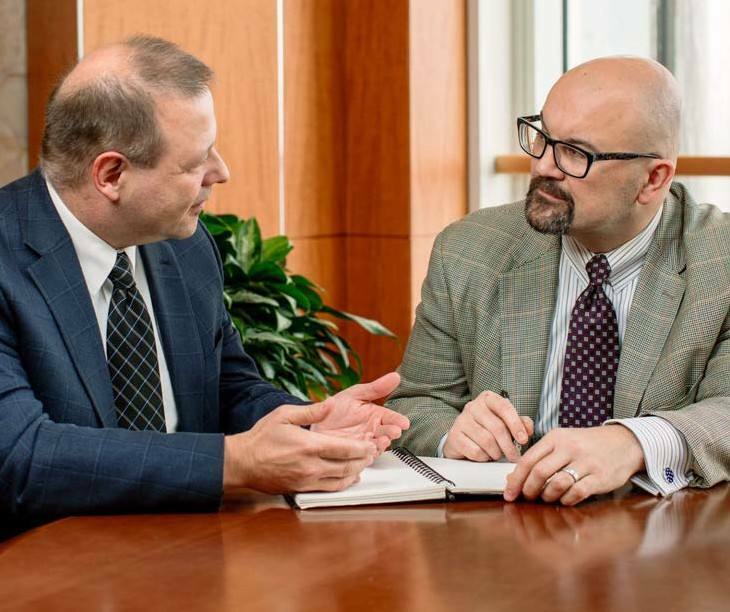 Although other centers have now adopted this approach, Dr. Truty and his Mayo Clinic colleagues are leading the way in defining how to use this strategy most effectively. The treatment sequencing developed at Mayo Clinic includes looking at the entire patient and addressing their weight loss, malnourishment, jaundice, depression and other medical problems at diagnosis. Mayo Clinic’s multidisciplinary approach involves helping patients get in the best mental and physical shape to battle cancer treatment. After patients are stabilized, they receive modern combinatorial chemotherapy administered by Mayo Clinic medical oncologists specializing in pancreatic cancer. There are fewer than 50 PET MRI scanners in the world. Mayo Clinic has two of them — in Minnesota and Arizona — and the Florida campus is getting one soon. Dr. Truty says the scanner has revolutionized Mayo Clinic’s practice and is an example of how a significant advance in one field — radiology — has allowed evolution in another — oncology. After chemotherapy, Dr. Truty relies on his colleagues in radiation oncology to initiate therapy, including proton beam, instead of going straight to surgery. “Surgery is only beneficial if we can remove tumors with negative margins,” he says. “Our ability to achieve negative-margin operations is markedly improved when patients have had radiation directed toward the intended surgical site. During the operation the surgeons send tumor samples to a pathologist, who quick-freezes the tissue and examines it for cancer — a technique developed at Mayo Clinic — and then reports back about margins and whether any cancer is still present. After surgery, some patients receive additional chemotherapy. The preliminary outcomes with this approach, referred to as total neoadjuvant therapy, will be published soon. The survival benefit is significant. Axel Grothey, M.D. 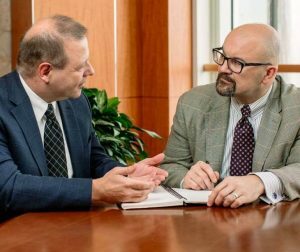 (left), and Mark Truty, M.D., each lost a parent to pancreatic cancer, which makes their mission to revolutionize treatment much more personal. Dr. Grothey says this collaboration is one of the most rewarding he’s had at Mayo Clinic. Axel Grothey, M.D., a Mayo Clinic oncologist, works closely with Dr. Truty and other cancer surgeons. Like Dr. Truty, Dr. Grothey has personal experience with pancreatic cancer. In 2003 his mother, Inge, was diagnosed with locally advanced pancreatic cancer in Germany. She had surgery, complicated by blood vessel involvement, and died within a week. “Improving the outcomes and life expectancy for patients with this disease is very dear to me,” he says. Dr. Grothey reiterates that aggressive surgery makes sense only if the cancer elsewhere in a patient’s body can be controlled. That’s where new chemotherapy agents come in. Dr. Grothey cautions that every patient isn’t a candidate for this pancreatic cancer protocol. 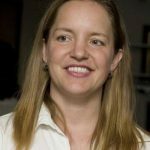 “Sometimes patients want to be unrealistically aggressive and use every available tool even though that approach may negatively affect their quality of life without adding to their longevity. We try to rein them in. In the right patients, we’re more than happy to be aggressive, and there’s no better place to be than Mayo Clinic. Dr. Truty says that while this approach isn’t a cure for every patient, it’s getting close. The protocol has resulted in significant improvement in survival, even for patients whose tumors previously would have been considered inoperable. Data on more than 160 patients with stage III cancer show remarkable success. With conventional treatment, their expected median survival would be less than a year. Their actual median survival is more than 50 months and counting. The majority of these patients show no signs of cancer. “When I first started, we didn’t use neoadjuvant therapy, and there were a lot of naysayers ... until we had data to demonstrate our success,” says Dr. Truty. “Now other medical centers are using this approach, with Mayo Clinic leading the way. Editor's note: Since the time of publication, Dr. Grothey has moved on in his career and now holds a leadership position at Sarah Cannon. PET/MRI: Where might it replace PET/CT? I am very disappointed in no mention of research in vaccine therapy. Mayo hit the papers big in the use of a measles vaccine in an end stage cancer and then quiet? I feel certain shortly a breast cancer vaccine will be introduced. This of course will put a lot of people out of business. The reason the polio vaccine was so affective so quickly is there was no expensive treatments in place. After contracting the Valley fever organism, coccidioides, two people I encountered received lymphoma cures. Might be a place to start research. Since high fevers have long been known to leave cancer patients cured, how about the organism? Thank you for reading Advancing the Science. As you might imagine, we are unable to recount in this forum everything we are working on with respect to pancreatic cancer, but this article may give you a bit of insight. For more information on more of the medical research being conducted at Mayo Clinic, please visit the website http://www.mayo.edu/research. Does this include gallbladder cancer with mets also. Thank you for reading Advancing the Science. Linked below are a couple items that cover topics related to gall bladder cancer that may be helpful. My father died of pancreatic cancer three years ago. I long to join the fight for better treatments and outcomes. How can I support the fight? Thank you for your comment. We are so sorry to hear about your loss. Mayo Clinic experts do indeed provide comprehensive care for people with complex cancers, including pancreatic cancer. Contributions made to cancer research help us discover innovative treatments to help cancer patients around the globe. To learn more about how you can help support advancements in cancer treatment and research, please go to: https://www.mayoclinic.org/giving-to-mayo-clinic/contact-us. Thank you for reaching out with your interest in supporting Mayo Clinic Cancer Center’s mission to conquer the disease, once and for all.